Are you a fan of lobster rolls? I am. Found at lobster shacks, roadside stands and fancier restaurants throughout the state of Maine, lobster rolls are now gaining popularity throughout the country for one reason & one reason only. These sandwiches are delicious! I feel it is important that the sandwich be filled to the brim with fresh, cold lobster taken from the tail & claw, and that the bun be either toasted or warmed, and lightly buttered. Whether you like your lobster filling mixed with mayonnaise or butter, the condiment should be used judiciously, and to my mind, there should be no other “filler”. It’s perfectly fine for me if a small amount of fresh herbs or a kiss of lemon juice finds its way into the filling, but that should be it. On my quest for such a sandwich, I was recently lead to a wonderful eatery called The Green Bean in the beautiful town of Gladwyne, Pennsylvania. I had been told by several people that this place served a pretty delectable lobster roll, so I went in to find out for myself. What arrived at my table was just what I was after. The sandwich was packed with the most delicious lobster meat and with it, I was served a mesclun salad of baby greens, along with the typical side of kettle potato chips. I’m so glad I was given several napkins, because I wasted no time in devouring the roll with gusto. Pure heaven! I don’t think it took more than 5 minutes to finish that meal (shhh, don’t tell anyone!). This famous lobster roll at The Green Bean is the perfect blend of tail, knuckle & claw meat that is very lightly enhanced with mayonnaise, in addition to the right amount of lemon juice. A small sprinkling of freshly snipped chives to top it off and that completes the roll. The bun is lightly buttered to enhance the flavor, so what you end up with is what a true lobster roll should be. Thankfully, chef & owner, Tammin, graciously allowed me to take a few photographs of his wonderful lobster roll for me to show you. Trust me when I tell you that this sandwich is well worth the price. Just get over the sticker shock & order one. You won’t regret it whatsoever. Just so you know, The Green Bean was voted Best of The Main Line & Western Suburbs in 2012 by Main Line Today. Perfection! If you take a closer look you'll notice the combination of lobster meat I mentioned. You can't even see the mayonnaise, but it's there. The mesclun salad is generous and artfully piled onto the very modern plates used by The Green Bean. What you must understand, however, is that the red wine vinaigrette is phenomenal! After the lobster roll, the salad dressing comes in second. What's more, I got the chef to give me a list of the ingredients, so I'm going to attempt to recreate it at home to share with you in the near future. Stay tuned! Kettle chips down the hatch! If you do find yourself wanting this lobster roll on The Main Line, here in the suburbs of Philadelphia, tell them David sent you to The Green Bean. You're going to love it! 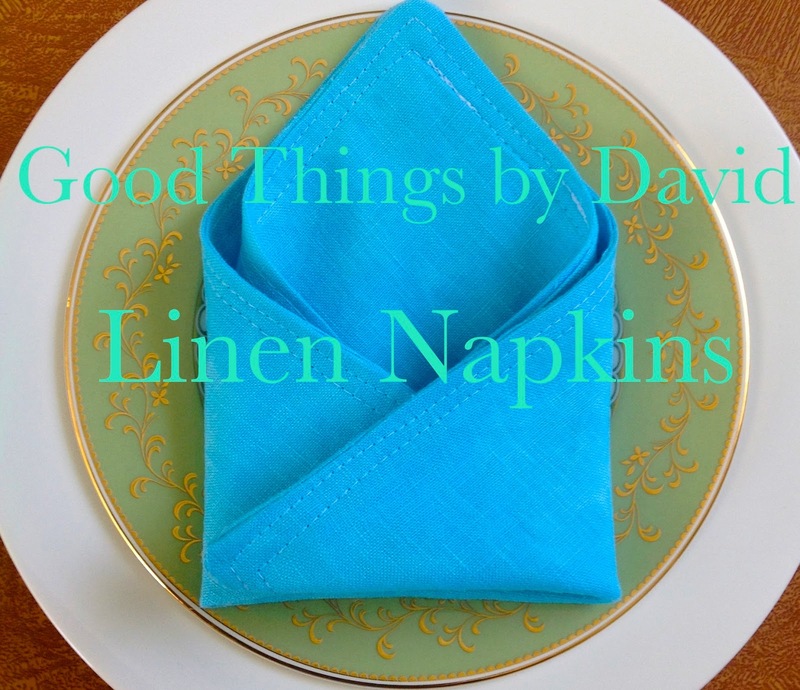 A reader recently asked me if he could share a delicious vegetarian recipe here on the blog and after looking at it I agreed, because it looked fantastic. Many of us are trying to stay fit these days and trying to keep our new year's resolutions from falling apart. Let this recipe inspire you to try something new. Spring is officially here! For some, spring only means better weather. But for many others spring is the beginning of transition. It is a time of change. People choose to make many personal changes during spring because they see it as a great time to transition into the summer. If you are looking to be healthier this season here are some tips for staying healthy and recipe for a delicious and nutritious meal for you! It is very essential to a good diet that you incorporate good carbohydrates. Too many fad diets call for you to get all carbs out of your diet. But they fail to remind their followers that dark leafy greens, vegetables, and fruits are carbs. Remember what your parents and grandparents said, “eat your fruits and vegetables.” These foods are absolutely necessary in order to get fit. There are many simple ways to substitute certain foods for healthier ones. For instance consider replacing butter with olive oil or coconut oil. Not only can this help make you fit but it even tastes better. If you are a vegetarian get your essential proteins by replacing your meats with tempeh, tofu, quinoa, and eating certain seeds and nuts such as almonds. Believe it or not eating more often can actually help you lose weight. Having several smaller meals throughout the day instead of three big meals boosts your metabolism which helps keep weight off and also keeps you from succumbing to poor diet choices or overeating. Eating more often in smaller portions can keep you healthy. Preheat oven to 450°F. Toss tempeh with 3 tablespoons of oil, soy sauce and garlic powder in medium bowl. Spread tempeh in single layer on baking pan; set aside. On another baking pan, spread asparagus in a single layer; drizzle with remaining 1 tablespoon of oil and sprinkle with salt. Shake pan to coat asparagus. Place both pans in oven. Bake asparagus 6 to 8 minutes or until crisp-tender, shaking pan to turn spears once. Bake tempeh 15 minutes or until browned, turning once. Remove from oven. Meanwhile, toss together mixed greens and dressing in large bowl; divide evenly between 4 plates. Top evenly with edamame, tomatoes and onion. 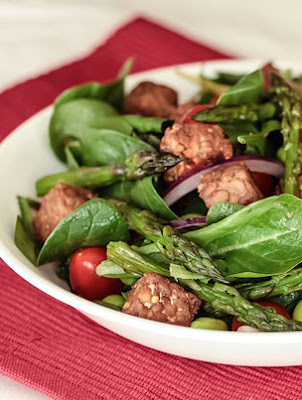 Top each with roasted tempeh and asparagus. This post was brought to you by Lightlife. For other vegetarian recipes using tempeh visit the Lightlife website. A set of furry feline cookies decorated in adorable shades of royal icing would make the perfect gift for any cat lover. 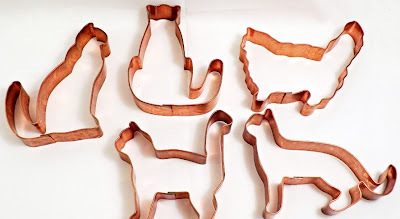 These clever designs were an exclusive creation for the Martha by Mail catalog many years ago, and collectors can’t seem to get enough of these cookie cutters. I don’t blame them. Charming as a host or hostess gift, the edible kitties can be designed to look like true cats that many of us own or they can be made to look unlike any cat we know. Pipe a dot here, a dot there or give the kitty cat whorls of color any which way you choose. 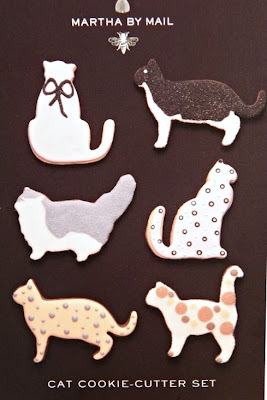 If you want to be nice you can add a little bow of royal icing or flock the cat to accentuate the design. Whatever you do, make them adorable and make them your own. Everyone is going to want one. Return to these copper cookie cutters and their clever designs so that you can create your very own cat cookies. For collectors and bakers everywhere! The cat on the left looks as if he or she is perched on a window sill looking out. The body is outlined and flooded in white royal icing; this is left to dry. A small bow in brown royal icing is piped on top and is immediately flocked with fine sanding sugar. The cat on the right is a tuxedo cat standing on all fours. Outline the bottom fourth of the kitty in white icing and flood it with the same icing. Outline and flood the remaining cookie in brown royal icing. While still wet, flock the cat in clear, fine sanding sugar; let this dry. Pipe a small dot for an eye and let dry. This domestic longhaired cat is very luxurious to say the least. The top coat is piped with a light brown/gray color and the bottom coat is piped in white royal icing. The kitty is flocked in fine sanding sugar. The silhouette of this cat as it sits upright is completely unique. White royal icing is used to outline and flood the cat. Brown dots are then piped throughout the cookie while the base is still wet, and then each dot is given another white dot on top of that while it is still wet. When dried, the polka-dotted cat will be ready for gift giving. Looking as if it’s ready to eat a meal, the cat on the left is bubbly and cute with its curled tail and sleek outline. A base of cream-colored royal icing is used to outline and flood the cookie. Once dried, the body is accented with various-sized dots of light brown royal icing. Adorable! The calico on the right with its upright tail is ready to pounce! Outline and flood this cookie in white royal icing and while still wet, fill the top portion of the body with various odd-sized dots in contrasting colors. Don’t forget to give the kitty some mittens and socks. Meow! I’m a huge fan of lemon desserts, always have been and always will be. Lemon cupcakes often disappoint when you get them from the market (not something I do, but I have tasted them on occasion--one must compare), but if you make them at home and add a bit of extra indulgence, you can make sublime cupcakes that far surpass those which are mass produced. I recently made a batch of some that included lemon curd, along with an easy lemon buttercream to crown each treat. An ode to that marvelous cake I’ve shown you before, these sweet miniature versions are so much fun to make. The hardest thing to do, perhaps, is the lemon curd, but if you give yourself some time to get it just right, it too is not a task that is unattainable. I love making the curd a day in advance and having it cold & ready in the refrigerator. The cupcake batter is a straightforward version of the 1-2-3-4 cake and is divided among 24 cupcake liners. Two dozen beautiful cupcakes that are then filled with curd and topped with the simplest of buttercreams will satisfy the craving of those die-hard lemon dessert fans. Make these for a Mother’s Day lunch, a weekend gathering or a casual get-together with friends. Equipment: Two standard size muffin tins with 12 wells in each pan, 24 cupcake liners. Note: If your cupcake pans are nonstick, there is no reason to butter the tops of the pans. If your cupcake pans are light aluminum, they must be prepared because the cupcakes may crown and stick to the rims of each well. I line each well with a cupcake liner and then spray the tops with a nonstick cooking spray. In the bowl of your stand mixer fitted with the paddle attachment, cream the butter on medium speed for 30 seconds to 1 minute, just until the butter is nice & creamy. Gradually add the granulated sugar and the lemon zest in a steady stream & continue beating for a good 4-5 minutes. You want to incorporate as much air as possible to make the cupcakes light, so cream the butter & sugar until it is very light & fluffy. Stop the mixer and scrape the bowl & paddle at least once or twice during this process. On medium speed, add the eggs one at a time and beat well, until each egg is fully emulsified in the batter (it shouldn’t look curdled). Stop the mixer and scrape down the bowl & paddle at least once. In a medium bowl, sift the cake flour, baking powder & fine sea salt; whisk to combine well. Combine the vanilla extract with the milk. On low speed, alternately add the dry ingredients with the milk/vanilla. The dry ingredients will be added in 3 additions and the milk/vanilla in 2 additions; start and end with the dry ingredients. Beat just until combined and no specks of flour are left. Stop the machine and give the batter a couple of turns with a large spatula, making sure to reach all the way to the bottom of the bowl. With a 2 1/4” ice cream scoop, evenly divide the batter evenly among the muffin tins lined with cupcake liners. Fill each cavity 3/4 full of batter. Bake the cupcakes for approximately 18-22 minutes. Dark, nonstick pans will bake the cupcakes much faster than light aluminum pans. Each cupcake should feel springy to the touch and a toothpick inserted into the middle should come out free of crumbs. In a saucier or saucepan, add the egg yolks, whole eggs, granulated sugar, lemon zest and freshly squeezed lemon juice. Using a whisk, mix the ingredients until well combined. Set the pan on your stovetop over medium, medium-low heat. Stir your ingredients with a clean, wooden spoon or heatproof spatula (I reserve a wooden spoon just for this purpose so that I don’t transfer other flavors to my curds). Pay close attention and don’t walk away from this task. Lemon curd will gradually thicken in 5-10 minutes or so. It’s important to watch for visual clues, because the curd can go from a watery substance to scrambled eggs if you don’t stir the entire time. As soon as you notice the curd thicken considerably, check to see if it coats the back of the spoon or spatula in a thick film. If it does, it’s ready to come off the heat. Have a fine mesh strainer set over a heatproof bowl or other vessel and strain the lemon curd through it. Stir and press it through. You’ll notice all of the lemon zest and perhaps some egg whites left in the strainer; discard this. Make sure to scrape off the curd from the bottom of the strainer. Add the reserved butter a few tablespoons at a time, stirring until it melts. Once the butter has melted, cool the curd by either setting it into an ice water bath or by putting it into the refrigerator. I much prefer to put my bowl of curd over an ice water bath to cool it quickly (I stir this until there is no more heat left). If you’re going to place it straight into the refrigerator, put a piece of plastic wrap directly onto the surface of the curd to prevent a skin from forming. The curd can be stored in the refrigerator for up to 2 days, again, with a piece of plastic wrap directly on the surface to prevent a skin from forming. Make sure the entire bowl is covered well. NOTE: the lemon curd has to be thoroughly chilled before constructing the cupcakes. Yield: enough for 24 cupcakes or a 9” layer cake. In the bowl of your stand mixer fitted with the paddle attachment, cream the butter until lightened, 30 seconds to 1 minute. Stop the mixer. Add all of the confectioners’ sugar, fine sea salt, milk, vanilla extract and lemon extract. Start the mixer on low speed until everything begins to come together and then gradually increase the speed to medium until the buttercream gets light & creamy, about 3-4 minutes. Stop and scrape down the bowl & paddle at least once. Add the 1/2 cup lemon curd and beat until well combined. With a sharp paring knife, cut a cone shape from the center of each cupcake and remove it. These will be the wells that will hold the lemon curd. Place the 1 1/2 cups lemon curd into a pastry bag fitted with a 1/4” plain piping tip. This is 24 tablespoons of lemon curd, so pipe 1 tablespoon into each cupcake. No one gets cheated here. If you’re working in a warm kitchen, place the cupcakes onto a rimmed baking sheet and pop them into the refrigerator until the lemon curd is chilled. To frost the cupcakes, place the buttercream into a large pastry bag fitted with a large open-star tip and pipe a generous spiral of buttercream, making sure to cover the exposed lemon curd. The cupcakes can be served at once or if you want to hold them for several hours or longer, put them back onto the baking sheet and chill them until the buttercream hardens. Once the buttercream is cold & stiff, wrap the baking sheets in plastic wrap to keep the cupcakes fresh. Since the cupcakes contain lemon curd, don’t let them sit out for more than a few hours. These cupcakes were packaged up for a special client. Delicious! I hope you make these cupcakes for your next celebration.